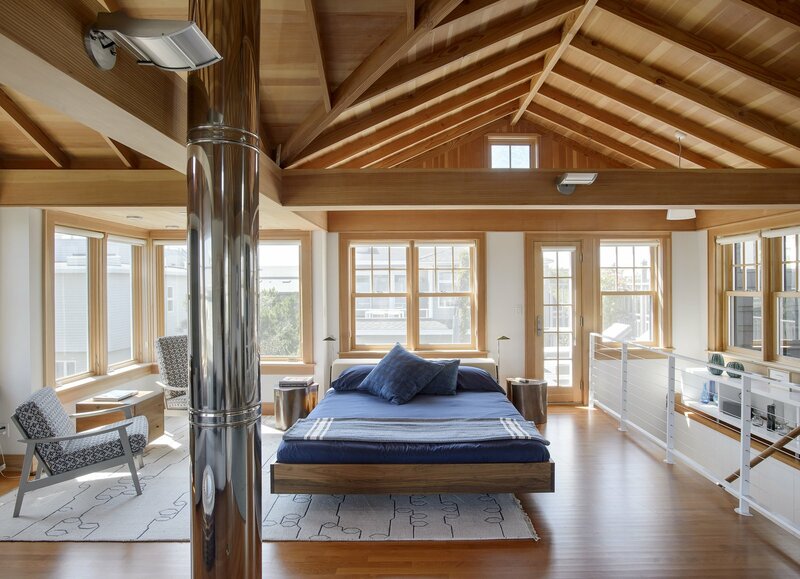 The sun-filled second story, which serves as the master bedroom and lounge, is pierced by a metal chimney. The Fusion bed by Zeitraum is flanked by nightstands by Robert Kuo and lamps by Cedric Hartman from the 1960s. A custom Moroccan rug covers the floor. A pair of refinished midcentury Danish chairs sit beside a Hans Wegner chest.